Imagine in your mind that you have lived your life. You have grown old and now you have passed beyond the veil into the afterlife. Imagine those people, who you know and love, who passed on before you. Imagine them welcoming you with open arms and big smiles on their faces. They have waited for so long for you to return. They have anxiously watched over you and, though you could not see or hear them, they have cried with you in your struggles and rejoiced with you in your triumphs. They all take it in turns to hug you and kiss your cheek. Tears of happiness and joy are in abundance as they show you around your new home. Well, actually, it’s your old home, your premortal home, you just had no memory of it in mortality. This is where we once lived as spirits. And this is where we will continue to live when our mortal bodies pass on. Death is not the end, it is more of an intermission, a new act in the play that is your life. The life of your spirit can never be destroyed and so, in a sense, we are already immortal. But we come to earth to gain physical, mortal bodies to help us grow and develop in ways that, as beings of spirit, we simply cannot progress. Then we pass through the veil of death and wait an amount of time before our bodies and our spirits are reunited never to be separated again. Imagine being introduced to our first parents, the glorious Adam and Eve, without whom, we could never have gained mortal bodies. Imagine meeting our Saviour Jesus Christ, without whom we could not gain immortality. And finally, imagine meeting our Father and Mother in heaven, without whom, none of this could ever have been possible. Imagine for a moment, that after everything you have ever been through, after every hardship, every moment of pain and suffering, you have lived your life in accordance to God’s plan. You are clothed in Everlasting Glory. You have on your head a crown symbolising your Eternal status as a King or Queen in God’s kingdom. It was all worth it because now you have that long awaited everlasting joy and happiness that was promised to you if only you would try your absolute, very best. Imagine your spouse next to you. He / She is smiling at you. You made it here together. You hold hands. You cry tears of happiness and joy. You are now a God and a Goddess in your own right. You have Eternal Life. The gift not freely available to all, unlike the gift of immortality. You worked hard to get to this state of being. And you are happy. And now we come back to reality. Our current reality. The one in which we are mere mortals, plodding along on this planet earth. How did reading the above make you feel? Does it excite you? Does it encourage you to be better than you were before? Do you think that it might be at all possible? Even a small hope, a small desire to believe in such a thing will set you on the right path. Our thoughts become our reality. So if we keep this image, and the feelings it evokes, in our minds and our hearts, we will be so much more able to achieve this. Everything begins with a single thought. We become what we think through the way we feel, the words we speak, the way we dress and how we act. The following blog posts contain the basic precious truths that I have discovered for myself, through reading, praying and listening to my intuition. I am a Christian. I belong to the Church of Jesus Christ of Latter-day Saints, and, as such, my opinions, thoughts, and feelings will, perhaps greatly, differ from your own. I have attempted to make certain concepts as universal as I can without watering down my own beliefs. All I can suggest is that you read them, ponder them, and inquire of the Lord to find out for yourself, but you must do so with a real desire, a true intent to act upon the truth as you learn it. Without a genuine desire to first hear and discover truth, and secondly to act upon it, asking for confirmation of truth is meaningless and it will not be received. How can it, if you are not open to receiving and are not prepared to act upon it? I have always struggled to know what my intuition feels like. I have never really learned how to access it or even how to recognise it. But, as I have been reading and learning about basic spirituality, with real intent to learn truth, I finally know how it feels for me. To me, in my mind, as I read, certain things just make sense. Why? I don’t know. They just do. I have come to determine that through my intuition, information that makes sense to me and is accompanied by such overwhelming positive emotion that I am literally brought to tears, is simply a physical manifestation of the realisation or indeed the remembrance of truth. But if I get a sick, icky feeling in my body or a heaviness in my heart, then this is something that is very wrong. Our intuition comes from the place within us where our spirit resides. 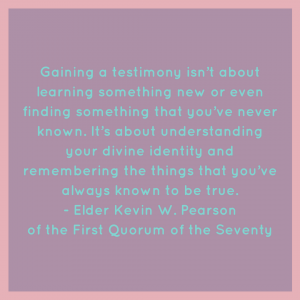 Intuition is not exactly a place from where we learn truth, it is more a relearning, we are remembering the truth that is already hardwired into our spiritual DNA. We learned all this and so much more when we were spirits but, through birth, we have forgotten everything. But we cannot truly forget information. We only have difficulty accessing that information in our conscious minds. The connections are interrupted and so we have consciously forgotten. Intuition therefore is Spirit communicating with us. Our spirits are energy. Energy communicates best with energy. We must be vibrating on the correct frequency for us to receive information from this source. As I have said, my beliefs will differ from your own, but all I ask is for you to respect them as I respect yours. We can agree to disagree and if you decide that our beliefs differ far too greatly then you are free to close the tab and go elsewhere. 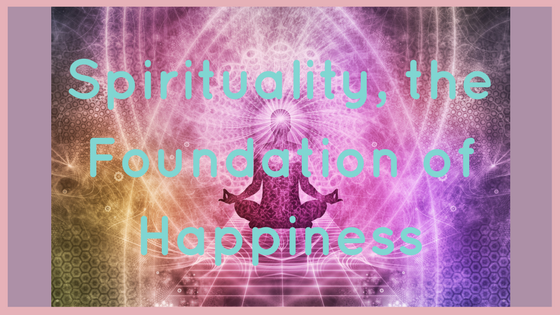 I believe that true spirituality can have a tremendous positive impact on a person’s mental health and that by understanding who we are, where we came from and why we are here, it will significantly help improve our lives in the long term.